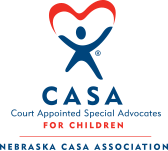 We are excited to announce the 1st Annual CASA Superhero Run on April 27th, sponsored by Great Western Bank! Be a superhero for children during April's Child Abuse Prevention Month! Choose between the 5K Race ($40 registration fee) and the Villain Chase (Kid's Fun Run with $25 registration fee). Come dressed as your favorite superhero as there are prizes for best costumes!